Vet ni! !-affären är lite av en legend här i Malmö. 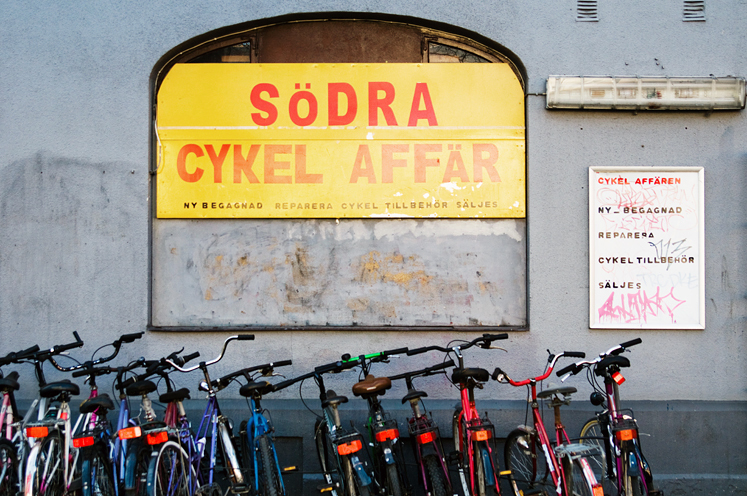 Cykelaffären verkar ha och göra det mesta, och det är ju bra. 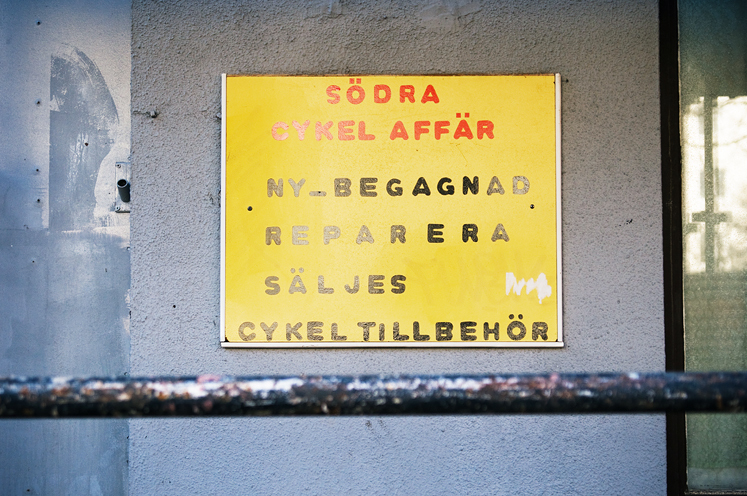 Och typografin är ju helt fantastisk. The ethnic neighborhood Möllan has some pretty funny stores and signs. 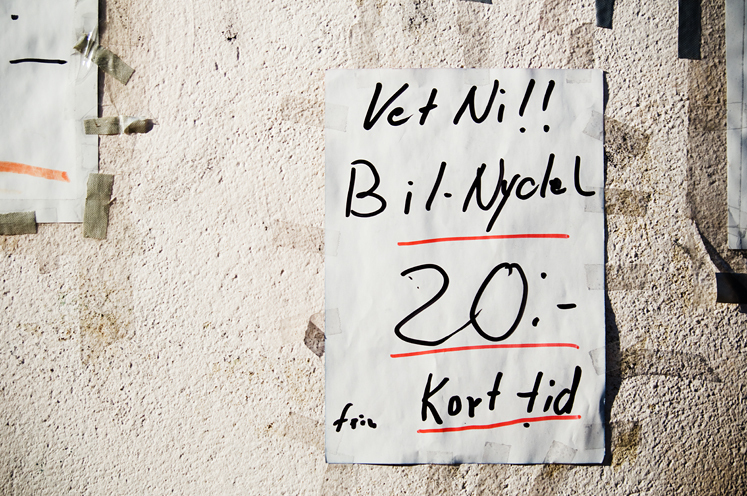 Vet ni!!! basically means "Did you know!!" 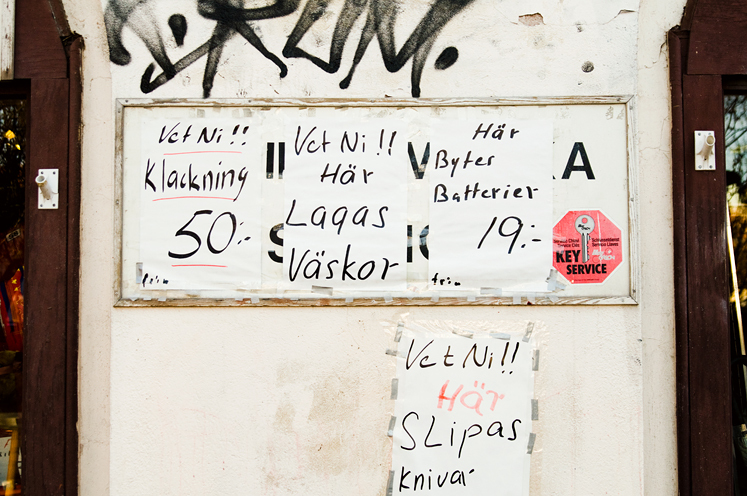 (followed by "heeling 50 SEK" or "car key, 20 SEK, short time") and the bike repair lists what they do sell and do in a very funny way ("new_used, repair, sold, bike accessories"). And the typography is just fantastic. Yes yes yes. And the first photo with the yellow sign, gray wall and bikes is juicy. What kind of neighborhood? Its very colorful.